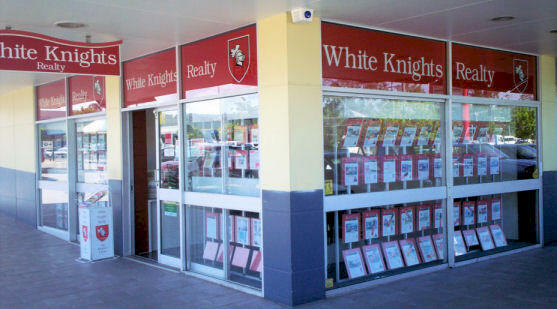 White Knights Realty is located in the heart of Logan – the third largest city in Queensland (and growing!). A magnificent and diverse city boasting culture, entertainment, acreage properties, apartment blocks, sophisticated transport networks, commercial opportunities, parks, waterfront homes, schools, and a variety of investment options, the central location of Logan makes our city an excellent option for the owner occupier or investor alike. Only 25 minutes from the beautiful beaches of the Gold Coast to the South, and 25 minutes from the hub of Brisbane City to the North – Logan's ideal placement on the map makes for an easy commute in either direction. Shopping has never been more fun than it is at Logan Hyperdome – the largest single level shopping centre in Australia! Shop in comfort with air conditioning and a variety of specialty stores as well as supermarkets and department stores. Places to visit include Mayes Cottage, Kingston Butter Factory, Daisy Hill Koala Centre, Boronia Bushland Reserve, Logan Entertainment Centre, Logan Art Gallery, Grand Plaza Shopping Centre, and a variety of local restaurants and cafes. Logan makes up 251 square kilometres of South East Queensland and is populated by around 175,000 people. On Census Night 7 August 2001 there were 56,197 occupied private dwellings counted in Logan City, 86.0% were separate houses, 9.3% were semi-detached, row or terrace house, townhouse etc, 3.2% were flat, unit or apartment and 0.9% were other dwellings.